US Bank has a new checking account bonus available that can earn you $200. This is one of the best offers that they have and the requirements for the bonus are pretty easy. Let’s take a look at the offer. 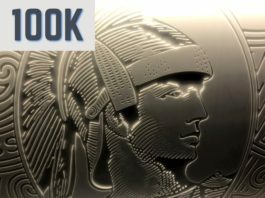 Earn $200 when you open a new consumer Silver, Gold, or Platinum Checking Package between June 24 and August 21, 2017. To get started, request a promotion code & enter it here, before applying. The offer is available nationwide. Offer is not valid if you have an existing U.S. Bank consumer checking account, had a U.S. Bank consumer checking account in the last six months, or received other U.S. Bank bonus offers within the past six months. To get the bonus you need to open a new consumer Silver, Gold, or Platinum Checking Package. All accounts come with monthly fees. The Gold Checking account could be the best option. It has a $10.95 monthly fee (with eStatements) but it is waived if you have a U.S Bank credit card. You can also have the fee waived through this program. This is a great bonus with easy requirements and it is available nationwide. You can usually do these US Bank bonuses about once a year. There’s no fee if you have a credit card with them and go for the Gold Checking account, but you can also waive the fee on the Silver Checking with little work. Another plus is that having a checking account with US Bank opens the way to get the Altitude Reserve Card. You can’t apply for this online like it says you can. I called them today regarding a question & was told all online applications will be turned down, but I tried it anyway and sure enough…turned down…so don’t waste your time. thx John… bummer though, this is a good one. Any other data points? Now that you’ve chosen the consumer checking package that’s right for you, you can enter the promotion code you received via text or email and apply online. yeah but then you don’t get a code. Here’s one for $150 SUB I found in my email today. Sponsored offer.